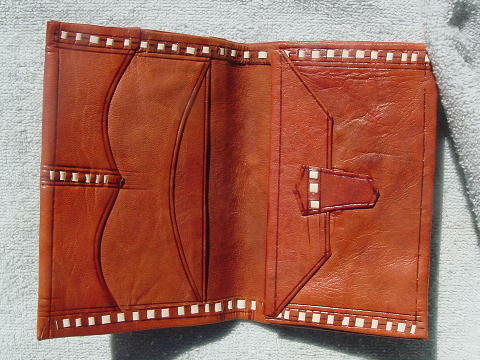 This vintage never-used handmade in Morocco dark caramel color tooled leather wallet has white decorative accents. 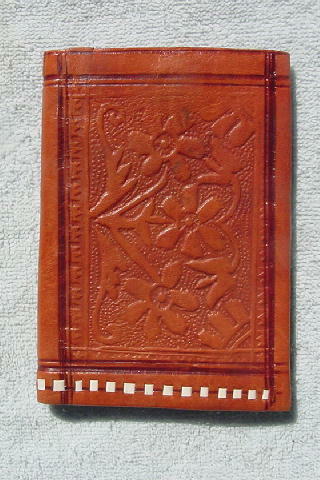 It has a floral and leaf design. Three of the front flower petals have dark areas.